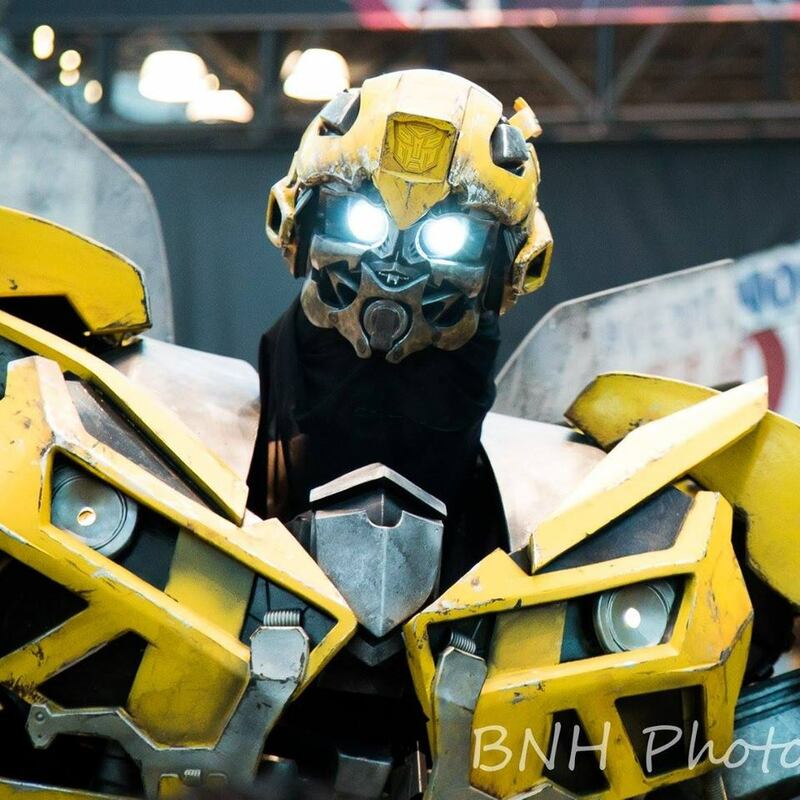 Transformers: Bumblebee cosplay by Extreme_Costumes – AiPT! A Bumblebee costume so real-looking you can hear the CHKK CHRR CHRRKK transforming sound. We’re all the way excited for the upcoming Bumblebee film, admittedly because we’re such huge Generation 1 Transformers fans and can’t wait to see the classic Transformers look finally replicated faithfully on the big screen. #Bumblebee at #animenyc #bumblebeemovie #trasformers #autobots #robot #huge #cosplay If you like it, share it. #animenyc #Bumblebee taking a walk at the con. Will you be there? Come say hi ! When your head is to big for the helmet…. @razorsedgecosplay and his big bubble head.